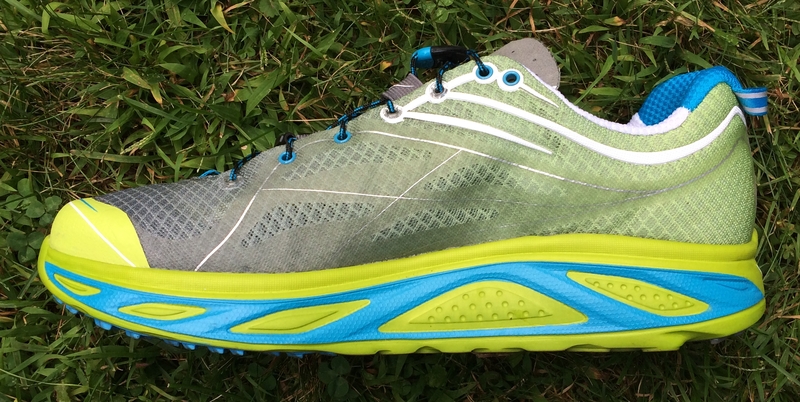 A few weeks ago I reviewed the Hoka Clifton. It was my first experience in a Hoka shoe, and my reaction was mixed. 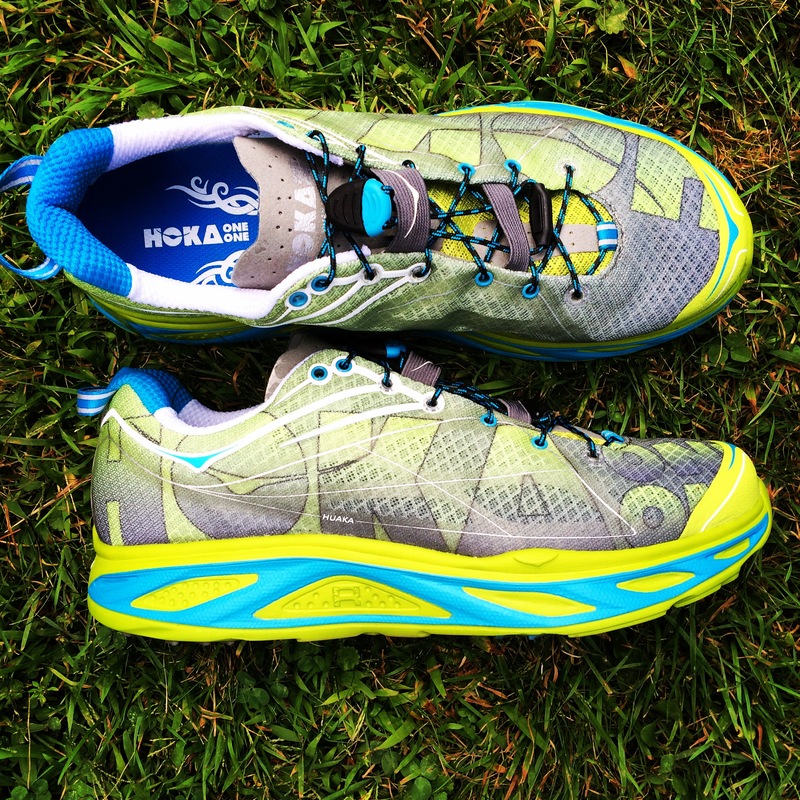 I was impressed by fit and comfort – it was the first Hoka I’ve tried on that seemed to be a good match for my foot shape. However, the ride was a bit too soft for my taste and it made me feel like I was working harder than I needed to be for a given pace. My friend Sam Winebaum recently wrote a comparison review of the Clifton vs. the Hoka Huaka in which he indicated that the Huaka felt like a faster, more dynamic shoe. He had suggested to me that it might be a better match for my personal preferences. After putting some miles on the Huaka, I have to agree – it’s a much better match for my stride, and I’ve actually quite enjoyed running in them. 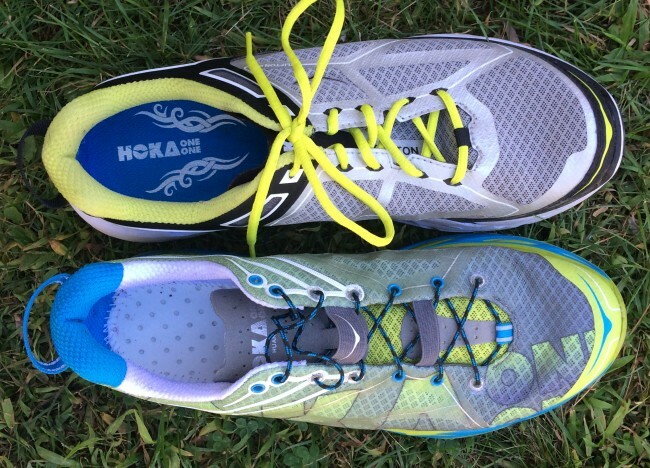 (Disclosure: the shoes reviewed here were media samples provided free of charge by Hoka). It’s hard to review the Huaka without comparing it to the Clifton because the two shoes share a lot of similarities, but also some notable differences. Both weigh in under 10oz in men’s size 9 (9.2oz for the Huaka, 7.8oz for the Clifton). However, I’d be hard pressed to notice the difference in weight holding them in my hands or with them on my feet. According to Hoka, both shoes are also relatively low-drop. They report sole stack heights as 27mm heel, 25mm forefoot for the Huaka (2mm drop), whereas the Clifton measures in as 29mm heel, 24mm forefoot (5mm drop; Note: Running Warehouse reports slightly different stack numbers with the Huaka being 4mm drop and the Clifton 6mm drop). As with the weight, the drop does not feel noticeably different to me. Like the Clifton, the Huakas fit my feet quite well. The Huakas feel ever-so-slightly snugger to me, perhaps more of a performance fit. My pair of Huakas came with two separate insoles to allow customization of fit (my Cliftons came with only one). Both are very thin (about 2mm thickness) – one is a softer Ortholite material whereas the other is a more standard EVA insole. The EVA insole has a more pronounced “cupping” around the heel whereas the Ortholite insole is pretty much flat. I’ve run with the EVA insole only, and with them both in at the same time which creates a snugger fit. The upper mesh on the Huaka is breathable with welded overlays (it also lets sand in as I found while standing in them on a beach along the Merrimack River) – it almost looks like the same mesh used on the upper of the Clifton. There is slightly less external structure around the heel of the Huaka, but the innner lining of the heel is almost identical in terms of material and cushion in both shoes. Aesthetically I like the look of both shoes, but the Huakas have a bit more flash – really like the green/blue colorway. A big difference between the Huaka and Clifton has to do with the lacing system. The Huaka comes with speed laces installed and has 7 eyelets on each side. The Clifton has standard laces and only 5 eyelets on each side. On the Huaka, the speed laces do not go through the uppermost eyelet which could be a problem if you have trouble with heel lockdown. They do include a pair of standard laces in the box in case you need to cut the speed laces off. Personally, I have a fairly high-volume foot and the speed laces worked OK for me – no heel slippage noticeable. There are two little stretch bands that you can tuck the speed-lace slack into that work pretty well. The tongue on both shoes is very thin and both are made of a similar mesh to that which composes the upper. The sole is where the differences between the Huaka and Clifton really stand out. The Clifton has a midsole made of CMEVA (compression molded EVA) whereas the Huaka sole is composed of a material called RMAT, which is a blend of rubber and EVA. I personally found that the Clifton midsole felt too soft, almost mushy underfoot (though I know lots of people who love the feel). The Huaka midsole feels firmer and more responsive, and I don’t feel like I’m battling the sole like I did with the Clifton. I’ve been doing a lot of Fartlek-type runs lately and have pushed the Huaka down to 5K pace without issue. It’s not a shoe I’d choose to race a 5K, but I’m more comfortable running fast in them as compared to the Cliftons. Hoka Clifton (left) and Huaka (right). Note the more curved heel of the Clifton. Another noticeable difference between the soles of the Huaka and Clifton is that the Clifton seems to have a more pronounced rocker, with the heel in particular curving upward more dramatically in the Clifton (see photo above). In my review of the Clifton I indicated that the rocker made me feel like I was landing more toward the midfoot in that shoe. In contrast, the heel of the Huaka does not have the same kind of curvature, and I feel like I’m landing with my more typical mild heel strike (and wear patterns seem to support this). The Huaka has rubber outsole coverage at the heel, a small patch on the outer forefoot, and underneath the big toe and inner forefoot. The outsole in the Huaka has small chevron-shaped lugs since it is intended as a road/trail hybrid built for speed. Don’t expect spectacular grip from the Huaka – I don’t run a lot of technical trails, but have done about a third of my miles in the shoe on river trails with lots of sand and some mud. I haven’t slipped, but I nearly took a dive after stepping on a wet log crossing a trail. 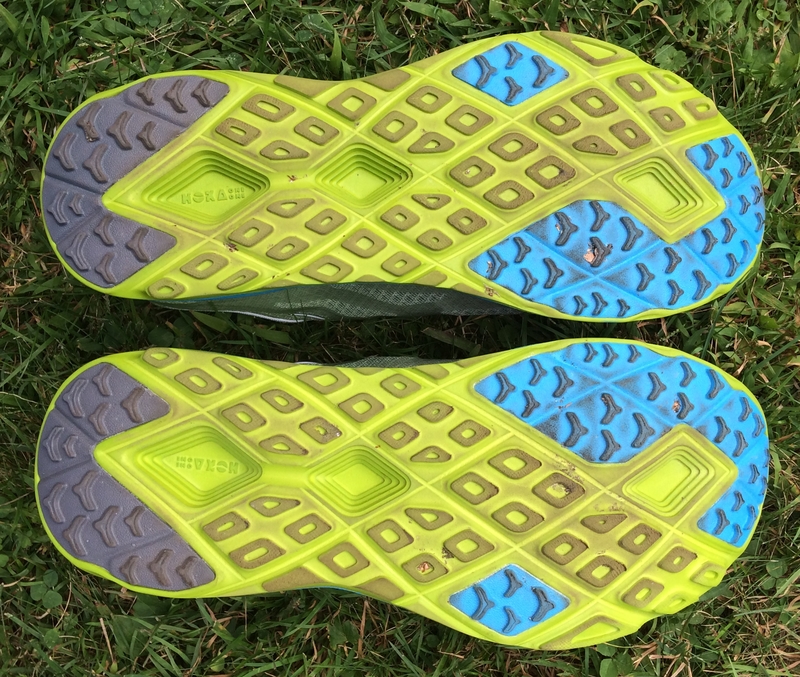 The midsole is thick enough that I have not had any issues running over rocks, roots, etc. The Huaka performs very well on asphalt and concrete – the lugs are low enough that they don’t get in the way, and I have run from easy pace down to 5K pace on the road with no issues. I have found that the front two lugs on the outer heel have worn down a bit with the road miles (my typical wear area, though in the Clifton it was a bit further forward). For a more minimal leaning runner like me, the decision to try a Hoka shoe will most likely start with consideration of the Clifton vs. the Huaka. For me, the choice would be the Huaka, for others it will be the Clifton. Though the Huaka is a tad heavier, lower drop, and has small outsole lugs, I would not use these as the deciding factor between the two shoes. The difference really comes down to what you want in terms of ride, which is mainly influenced in these shoes by differences in sole feel and rocker. If you want a softer shoe with a more pronounced rocker, go with the Clifton. If you want a firmer, more responsive sole with a less pronounced rocker, go with the Huaka. My guess is that everyone will be slightly different in terms of preference here so trying both on is probably the safest bet. The Hoka Clifton is available for purchase at Running Warehouse, Zappos, and at the Hoka website (or at your local run specialty store). 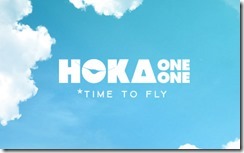 In Europe they can be purchased from www.hokaoneone.eu. 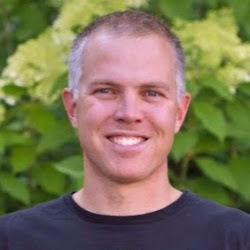 Purchases made via these links provide a small comission to Runblogger and help to support the production of reviews like this one – thanks! I tried the Huaka after a few rave reviews from around the net, but I never fell in love with them the way some others have. My shoe rotation lately has been Kinvara 5, Nike Free 4.0 Flyknit, Altra One 2 (although that’s another pair that hasn’t grown on me that much), and the occasional Merrell Bare Access 3. Perhaps the Huaka was just too different from what I’m used to. I gave it about 50 miles and while I didn’t actively dislike them, I never got that, “Man, that was a great run!” feeling like I do on occasion with the Kinvaras, Flyknits, or Bare Access. With the softer midsole and more substantial rocker on the back, it is likely the Clifton has a lower effective drop (at running speed) than the Huaka, especially for those making contact further back along the shoe. I tried the Clifton and found it too soft …. Haukas are on the way for testing. Thanks for another helpful review! My guess is that both are too narrow, snug-fitting for me. I have a few runs in the Altra Olympus and Paradigm, both fit me fine, and I wonder how different they are (aside from fit) to these two Hokas? The only Hokas I have are the Bondi 2 and those are too snug unless I am desperate for cushioning (forced to run on cement sidewalks 😉 ), heavy, and my feet feel like they are numb – no sensory feedback and not just from circulation being cut-off. The Altras feel good on the feet, are a bit on the heavy side, and although my feet feel disengaged from the ground, they don’t feel completely blind. What if any are your impressions of the Altra ultracushioned shoes vs the Hokas ? 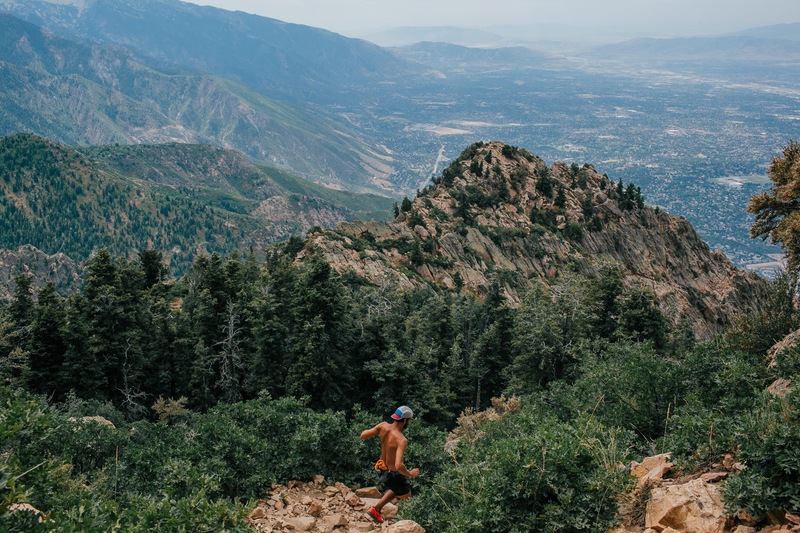 I’ve been running all year in Altra Instinct 2.0 and am switching to the Paradigm because I’ve increased my mileage and the Instincts just wear out too quick. if you are interested in the Paradigm, Amazon is selling them for $100 right now. That is quite a break off the $130 retail. Thanks Sam. I have been tempted by the Huaka, partly because of the lower weight and your reviews, but the narrowness is not going to work for me. I checked Shoefitter on RW and did not like what I saw 🙁 I think Hoka is out until they make a wider Huaka! I must say this shoe looks pretty interesting. For one, I think they made it in pretty cool colors, gives you a nice energy. And they also look pretty comfortable. I think about getting a new pair of running shoes, but I’m still unsure which model. This one, I think will be among the finalists. I tried the Clifton and they didn’t work for me, so I find this review helpful with respect to the Huaka. Question… It seems to me the ride in the Huaka vs. Clifton might be similar to the Conquest vs. Bondi 3? Does that sound reasonable? I love the Conquest for its cushioning and firmness (for longer runs and races) and the Bondi 3 for shorter runs. Huaka is firmer and will probably cave in less on the inner side. I purchased this shoes a month ago and logged around 80 miles on them. I do all my running on paved roads and cement sidewalks and needs a shoe with good cushioning. . I am 5 “7” 160lbs neutral runner with mid-foot strike and prior to this I was running on Brooks Pure Flow 3 and Saucony Kinvara 5. This is my first pair of Hokas and I was looking for a shoe with maximum cushioning and low heel to toe offset. I decided to give the Hoka Huakas a try since they were on sale at Running Warehouse. At first I was impressed with how light and cushioned they are. After my runs my feet and legs didn’t feel sore and I was running at a faster pace. During the first runs, I experience pain in front of my Knees due to the transition, but it went away after I started to log miles on them. After 40 miles I noticed the same problem some of other runners are experiencing with the upper welded overlays becoming separated from the mesh on the inner side of the forefoot. Around the same area that the overlays are coming apart, I also started experiencing blisters on my feet. I tried using double lining socks, band aids and the blisters became more aggravated to the point I stop using this shoe. I never had a problem with blister with other shoes and don’t know if I just got a defective pair. I really like this shoes before I started with the blisters. I don’t know if I should go with the Hoka Clifton or get a pair of Altra Paradigm. You could probably contact Hoka and let them know what happened after 40 miles, my guess is they would replace with another Huaka or even another model entirely. They did this for my wife when her Bondi’s fell apart after less than 50 miles. 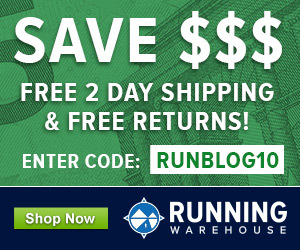 I contacted Running Warehouse and the Huakas are already in their way back for an exchange. I am going with the Hoka Clifton’s this time. My only concern besides the overlays becoming separated from the mesh is the blisters I was getting around the same area on both feet. I got the blisters right behind the big toe along the side of my feet where the arch begins. The Running Warehouse Representative told me since I am a mid-foot striker that the mesh material was rubbing along the side of my arch after the shoe got broken in. I have average feet with high arches and I felt that the side of the original insole was the one pushing against the side of my foot every time I landed. I never got the chance to try the other pair or ortholite insoles that came with the shoe. I just hope I don’t encounter the same problem with blistering with the Clifton’s. Hi. 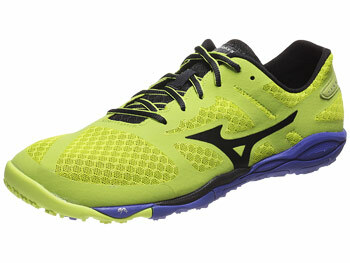 I am interested in these two shoes since I have become a big fan of the GoRun Ultra, a similar shoes in many aspects. I enjoy running in the GoRun Ultra: they are quite flatand they feel soft but responsive (they are quite bouncy, I believe). I am looking for a shoe similar to them…and here is where Hoka came into my mind. Which of these is more similar to Skechers Ultra…in terms of sole feel? Can somebody tell me? Thanks in advance. I found the Ultra to be pretty soft, so I’d say the Clifton is the closer comparison. Thanks Pete, that was helpful information. As for the size, did you go half a size up or down with them? I like more minimal shoes but I guess I’m “Hoka curious”. Flexibility is a priority, however, and I worry that those thick midsoles would be too stiff? Any problems with flexibility with Huaka/Clifton? Thanks for the post! I referenced this post in my review of this shoe here link to unconventionalfitness.net. 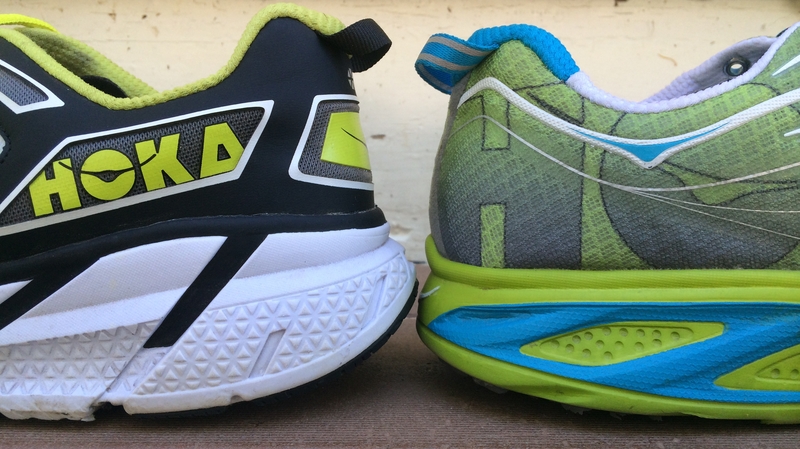 Unlike the other times I tried Hokas, they were not narrow and I appreciated the responsiveness – the shoe was not as “soft” or “mushy,” as the earlier models. Durability looks bad though, time will tell on that front.